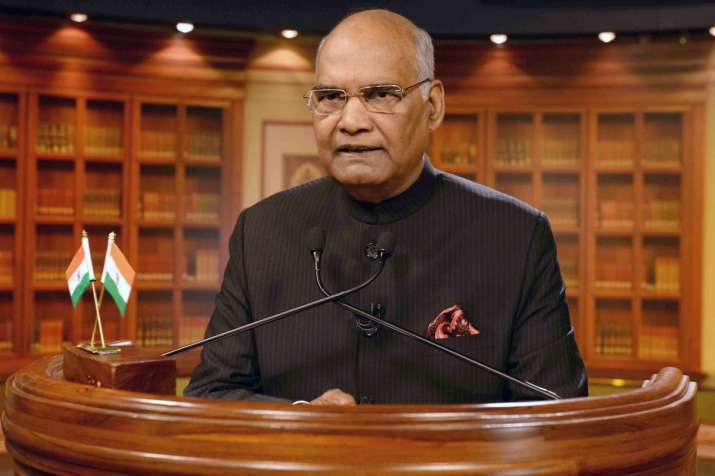 President Ram Nath Kovind on Thursday addressed the nation for the first time on the eve of 69th Republic Day of India. President Ram Nath Kovind on Thursday addressed the nation for the first time on the eve of 69th Republic Day of India. During his address President Kovind thanked every citizen of the country for their self-less service to India. President spoke in favour of equal and just society. "A happy and equal-opportunity nation is built by happy and equal-opportunity families and communities. Families where girls have the same rights and the same access to education and healthcare as boys," he said in his annual address. In last year's address, Pranab Mukherjee spoke as the nominal head of the nation, skimming upon topics related to India’s developmental goals, achievements and evolution of the Indian democracy. The speech is also telecasted live on state broadcaster DD National and All India Radio.